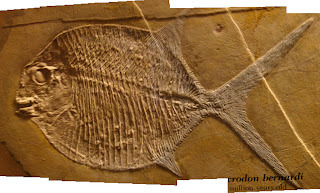 A Microdon bernardi fish fossil on display at the Smithsonian Museum of Natural History in Washington DC on August 2010. This image is a composite of 5 images shot in low light with no tripod. 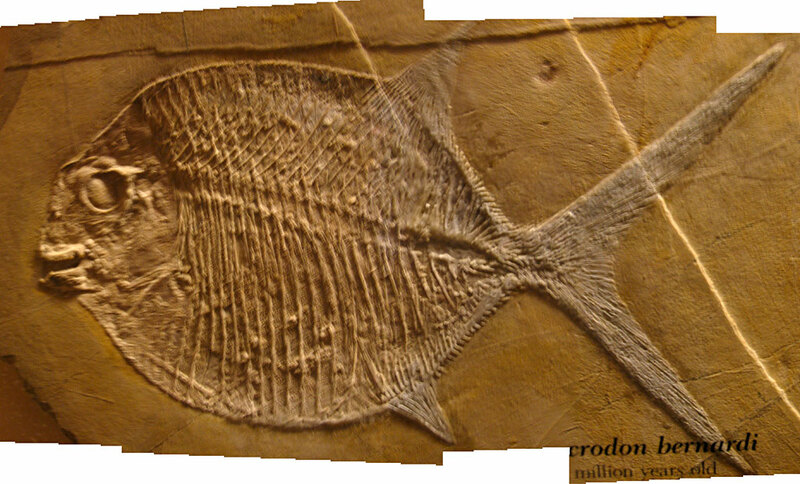 Fossil labeled at 145 million years old.